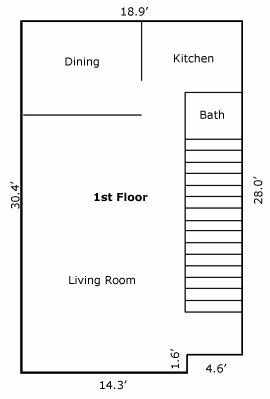 Two Bedroom-1,250 sq.ft. 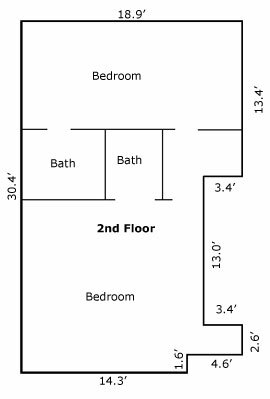 The two bedroom is two levels. The entry opens to the spacious living area with neutral colored carpet and plenty of light from the front windows. Through the living area is the kitchen and dining areas. The kitchen, with a breakfast bar, flows into the dining area to create an open feeling. The kitchen includes a dishwasher, refrigerator, stackable washer/dryer and designer vinyl flooring. A one half bath is also located on the first floor. The two bedrooms located upstairs each have a full bath with a tub and vanity.